Ok, Bill here, lets talk some television. If you listen to our Start To Continue Podcast or follow us @STCPod on Twitter, you'd probably know I spend days....and nights toiling in the television industry. In that time spent at a few different stations I've been subjected to my fair share of wacky, and to say the least, interesting programming. So why not start a blog series exploring those shows and seeing if anyone else has fond memories of them?! Let's start with one of the best of this TV Wack Pack! This was on air when I first got into the biz and had a steady timeslot late into the night on Saturday and Sunday. None other than Space Precinct 2040 .
on British television on October 3 1993 and found its way across to North American television sets through first run syndication. I believe I ran it closer to 1997 and could not get over how wacky this show was. We had all 24 episodes of the series and ran them over and over again. It did not get any better with each reairing...but years later I did have an urge to look it up again. Thanks to YouTube, we can discover this show again! Going off memory without lookin it up: The show was a police/detective procedural set in some alien part of the galaxy where various species lived and worked together. The show directly follows a human family who uprooted their normal lives because the dad took on a cop job in this new world. Of course he has two kids, one a teen with an attitude and the other a cute toddler. His marriage is strained by the new surroundings and dangerous job but they find a way to work through it each day. On the job, he has a wise cracking, skirt chasing human for a partner and a precinct full of alien and robot coworkers who mostly serve for comic relief. Weirdest yet is his boss lieutenant who is full on alien, but talks with a thick Irish brogue....like all old police officers do! Impressive is the scope of the production, having to create every set piece to bring this world to life. Everything from the patrol cars to the furniture had to be imagined and created with what I can only assume was a limited budget. As well, the aliens were portrayed by not just a layer of makeup, but full on masks with built in animatronics to the point where the all of the actors facial feature's, except for the mouth, were covered. You be the judge if this works. My opinion is in agreement with the great Gene Roddenberry who always said you can do whatever you want with an actor's face, but you have to leave the eyes and mouth alone. If you cover up the eyes, it takes away any chance the actor has to convey any kind of emotion. That's about all I remember, feel free to look it up for a serious detailed look at the show. Now on with the show! The premier episode of Space Precinct! Now, some 20 years later the creators have come together again and are appearing in a documentary on what they are calling the most ambitious television show in the UK...at the time. I can't wait to see this. Despite the product they created, there is little doubt how much pain and suffering must have went in to a production like this. Their stories must be a fascinating tale of television in the trenches. What do you think? Do you remember this space adventure? 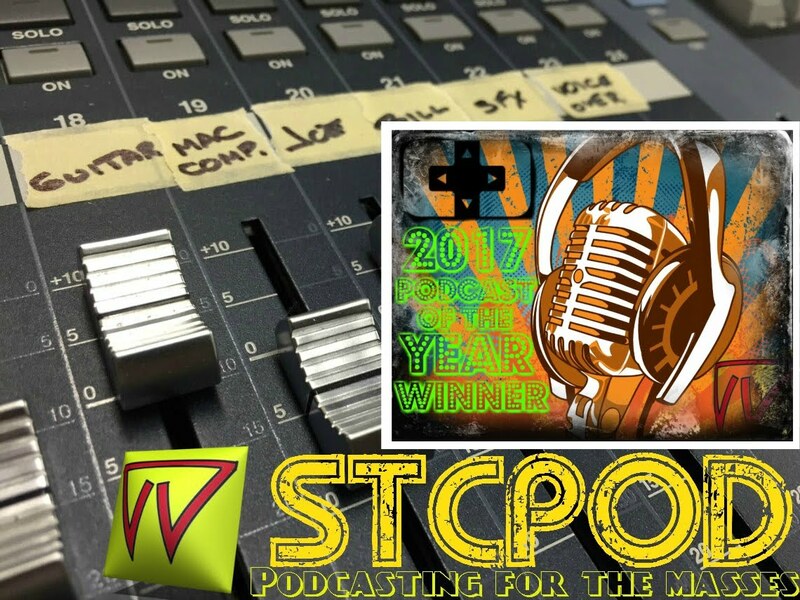 Let us know in the comments or follow us on Twitter @STCPod and don't forget to look for our podcast every Friday on iTunes and Podomatic, Start To Continue Podcast!